I finally got around to watching all the Youtube videos I've missed over the past month or so. Boy, that wasn't smart- imagine my subscription box! I missed a lot of videos from Laura Vitale so I watched all 10 of them. Keke. I went through her other videos and stumbled upon her Eggplant Parm video. I about died. That was exactly what I was hungering for! I didn't get to make it exactly- I just made the Meat Sauce. But the meat sauce itself was yummy! I can't wait to make the meal after Thanksgiving. Warning: This is my attempt at cooking. On medium-high heat, I drizzled some EVOO into a deep pot. When I felt it was hot enough to properly cook the turkey, I dumped the entire package in! 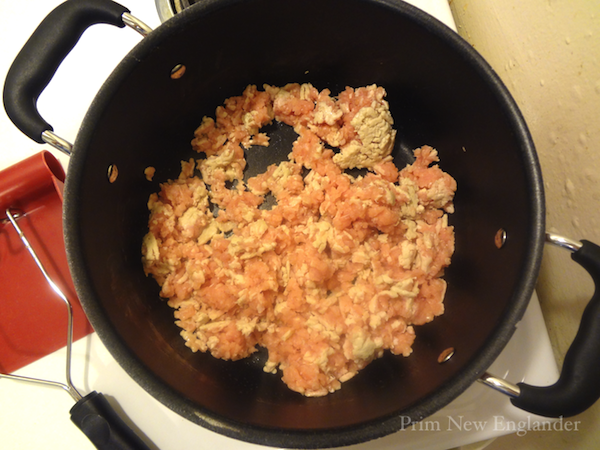 I had it cooking for roughly 4-5 minutes- until it most of the pink was gone. I added 3 cupfuls of onions (Cristhian and I really like onions!) and continued to cook it on medium-high heat until it was a bit translucent. Yum! 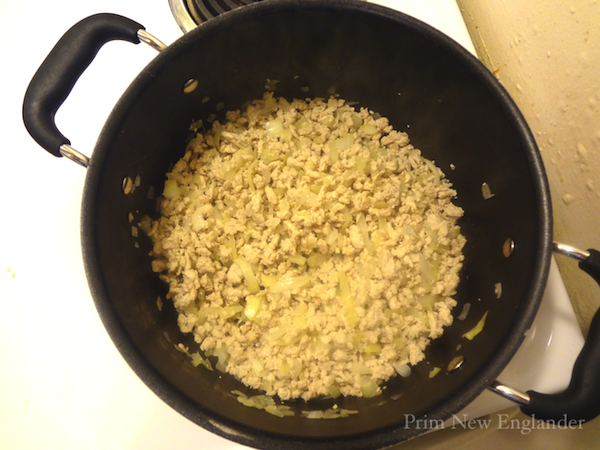 Once the onions were cooked down, I added 8oz of beef broth, 2 28oz cans of tomato sauce and 1 cup of filtered water. When the sauce started to boil, I made sure to turn the heat way, way down to low. I want to note that although Cristhian liked the tang of the sauce as it was. I, on the other hand, like things a bit sweeter. So I added 1.5 tbsp of sugar! 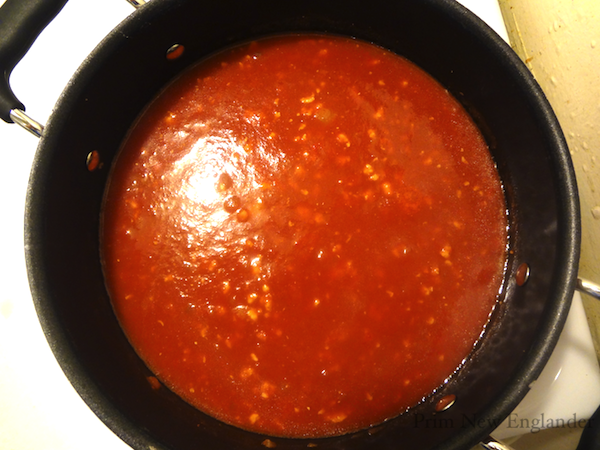 This is the sauce after 1.5 hours of cooking on low. The most annoying and cumbersome part of the cooking process was allotting time for the sauce to cook down. It was a really long 3.5 hours! But honestly, it tasted SO much better than when compared to the first twenty minutes of cooking. We're not quite ready to eat the meat sauce yet. I intend on cooking up some eggplant & chicken parm and stuffed shells some time in December!